Avert Fate is a technical demo to showcase the possibilities of the Unity3D engine. Still you can play it for hours, fighting off killer droids and airborn drones with heavy weaponry, while exploring a next-gen environment. 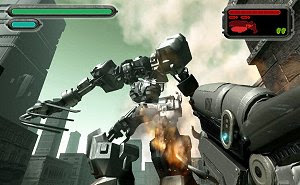 Can you defeat the gigantic boss robot in an astonishing final battle?